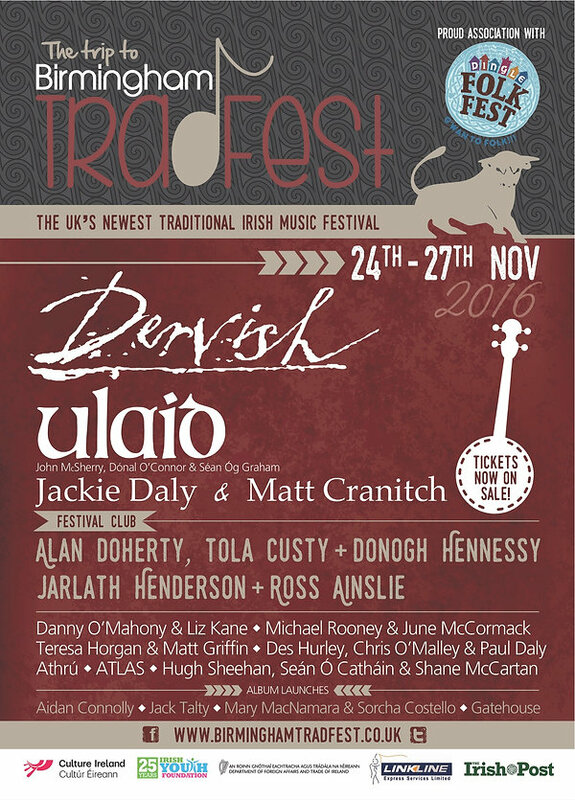 Birmingham Tradfest returns to Digbeth – the cultural home of Irish music in Birmingham – this month, celebrating the old as well as the new up-and-coming musicians. The festival draws on a diverse range of critically acclaimed artists from across the UK and Ireland, ensuring to cater to all musical tastes, while also strengthening the sense of Irish identity and community cohesion and spirit. There are a huge number of gigs taking place all over Digbeth, starting first and foremost at The Spotted Dog on Thursday 24 November with the free festival launch party from 19:00. See further details of gigs below, or visit the Birmingham Tradfest website here.